Emergency Call Systems and various types of Nurse Call Systems are required in many types of medical facilities. Emergency circumstances require dependable means of communication in order to quickly request aid. A swift response could make the difference in a life-threatening situation. Having access to dependable means of communication could ultimately save the lives of those in need. Emergency call systems are efficient, practical and affordable systems that can be depended upon during dangerous circumstances. Emergency call systems have benefited countless facilities in recent years by improving resident security and providing necessary aid in a quick and efficient manner. These systems incorporate a variety of products utilizing emergency push buttons, emergency call stations, call bell systems, call lights and emergency call boxes. 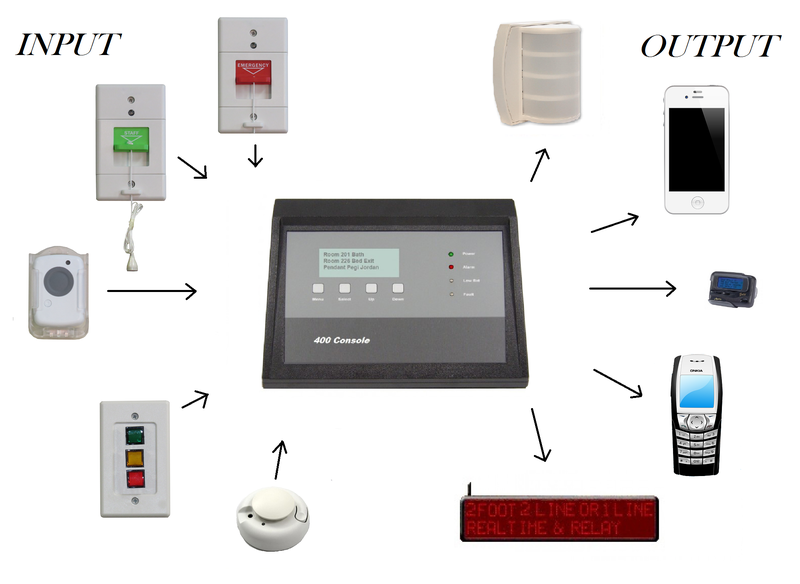 These are a few variations of an emergency call system intended for all types of facilities. Any facility needing a quick response at any time of day or night would benefit from the installation of an emergency call system. 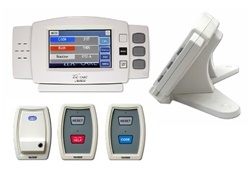 Emergency call systems are specifically intended for independent living facilities, elderly or handicapped housing, assisted living, nursing homes, hospitals, senior apartment buildings, and many types of clinics and surgery centers. Any facility that may need emergency call boxes or call bell systems for panic situations would benefit from the installation of an emergency call system. An occupant needing assistance during a crisis can use the emergency push button to notify those in charge of the facility. Facilities equipped with an emergency call system provide safety and a sense of ease to the patients or residents. There are a variety of products to suite each type of facility in order to enhance safety. Emergency call buttons can be placed within each room of a medical facilities allowing individuals to call for help during dangerous situations. These call buttons could be installed as pull cords, call lights or call bell systems which will send a call to the master annunciator panel. Some establishments may only require the placement of a few emergency call stations within different zones of the facility that can be accessed quickly and easily. Many customizations are available in order to provide specific aid to where it is needed. Our TekTone Emergency Call Systems offer reliable lines of communication within the walls of any healthcare facility. Fast and efficient response times are imperative when emergiency situations arise. The TekTone Emergency Call Systems are not only efficient, but they are also practical and affordable systems that offer dependable communication devices.